Manuel de la Chica is arguably the greatest guitar builder from Granada to date. He was born in 1911, and his early professional background was in cabinet making, as is the case for countless other fine guitar makers. 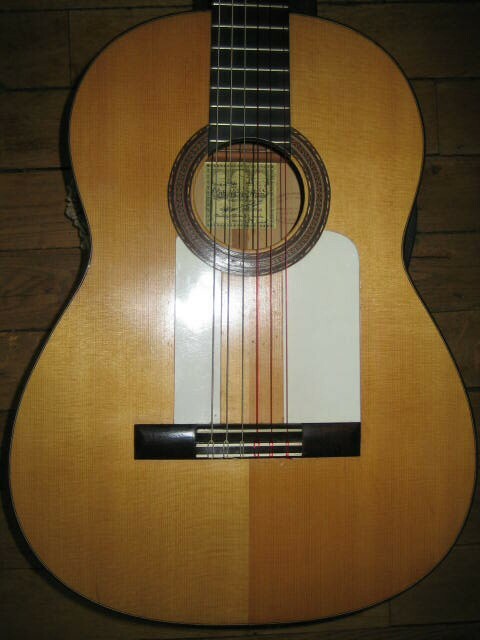 His focus shifted to guitar making in the late 1930s when he had seen and become attracted to the Spanish guitar, primarily those of Santos Hernandez. Antonio de Torres, Jose Ramirez I, Vincente Arias, Manuel Ramirez, Santos Hernandez, Enrique Garcia, Domingo Esteso, Herman Hauser, Julian Gomez Ramirez, Manuel Velazquez, Jose Ramirez II, Robert Bouchet, Jose Oribe, David Rubio, Jose Ramirez III, Jose Rubio, Herman Hauser II, Jeronimo Pena Fernandez, Masaru Kohno, Ignacio Fleta, Miguel Rodriguez, Robert Ruck, Daniel Friederich, Manuel Contreras, Herman Hauser III, Paulino Bernabe, Greg Smallman, Thomas Humphrey, John Gilbert, and Jose Luis Romanillos Vega.